Greetings, Groove-ophiles! 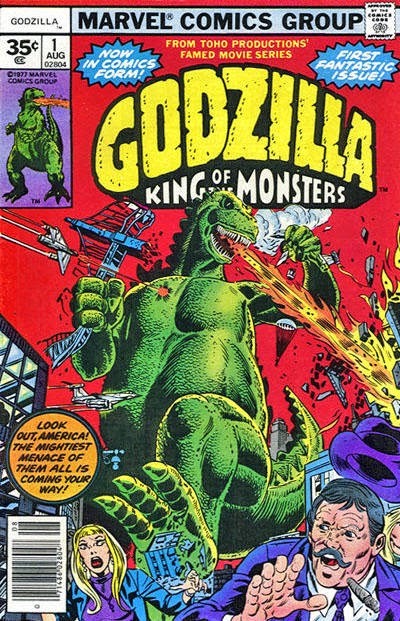 This weekend's big flick is the new Godzilla movie. If all goes according to plan, Ol' Groove will have seen it before you read this pugnacious post (I'll tell ya what I thought later). 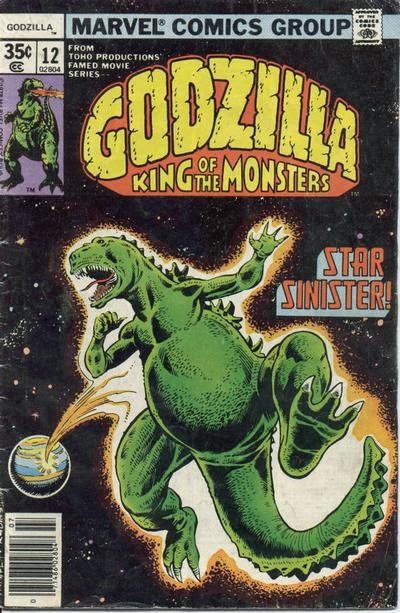 I have always been a Godzilla fan, so how cool was it when Mighty Marvel got the rights to the King of the Monsters back in May, 1977? 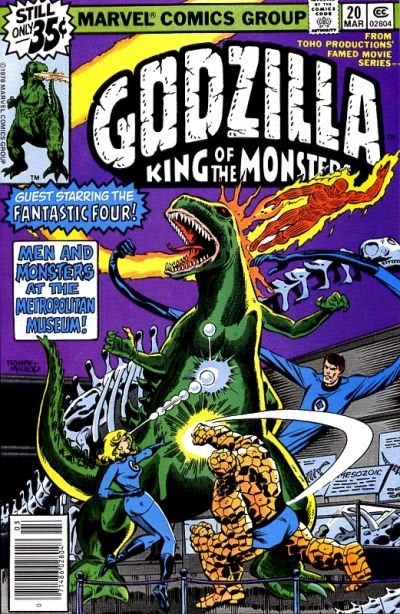 It was pretty cool, especially when you consider that Doug Moench wrote it, Herb Trimpe drew it (Happy Herb was the Master of Big Green Monsters, wuzn't he? 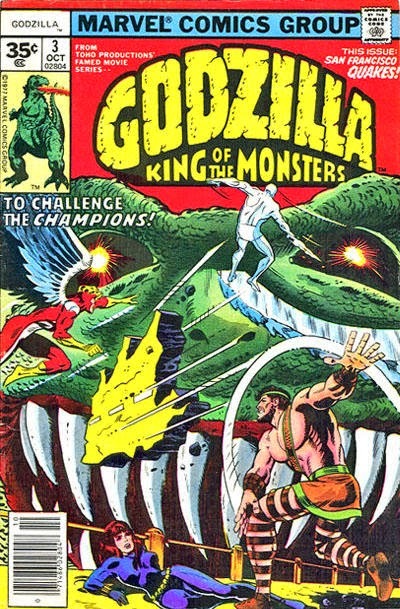 ), and they even got S.H.I.E.L.D., the Champions, the FF, Devil Dinosaur, and the Avengers involved. 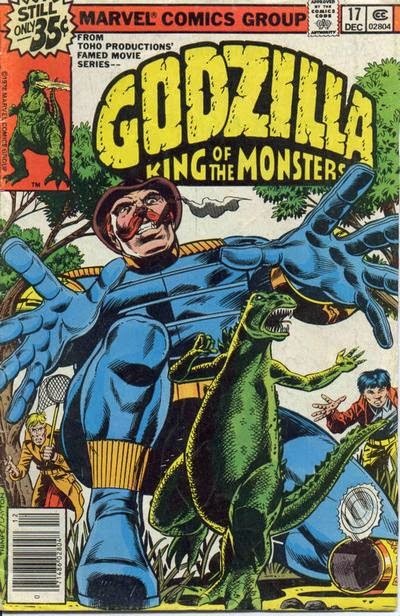 Check out these cool covers by Happy Herb and an army of awesome inkers, baby! 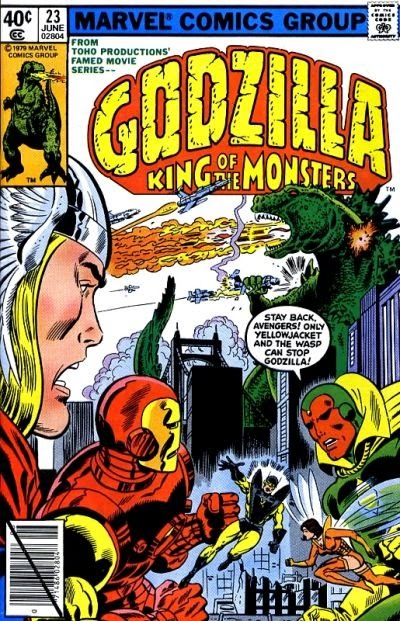 Labels: 1970s comic books, 1970s comicbooks, avengers, godzilla, grooviest covers of all time, herb trimpe, licensed comics, marvel comics, s.h.i.e.l.d. Loved this series! 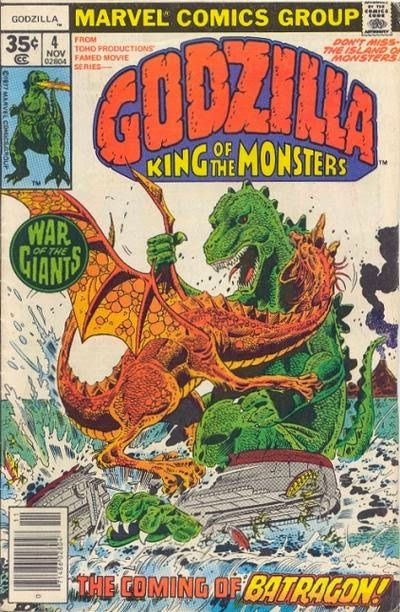 Godzilla Rocked! 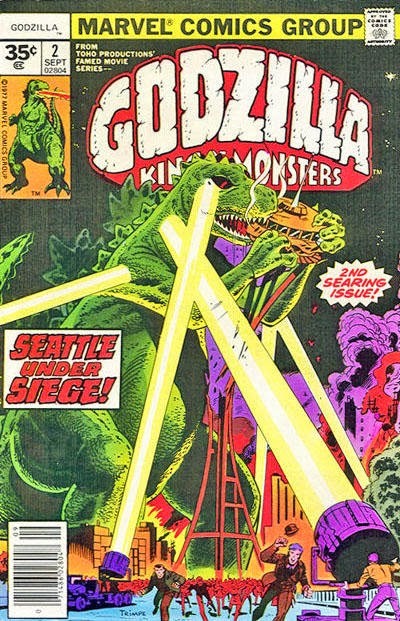 Loved #1, Red Ronin & the scene in Godzilla #3. Where Hercules flips Godzilla JJJaaaaa Hercules eats his Olympian Wheaties!! 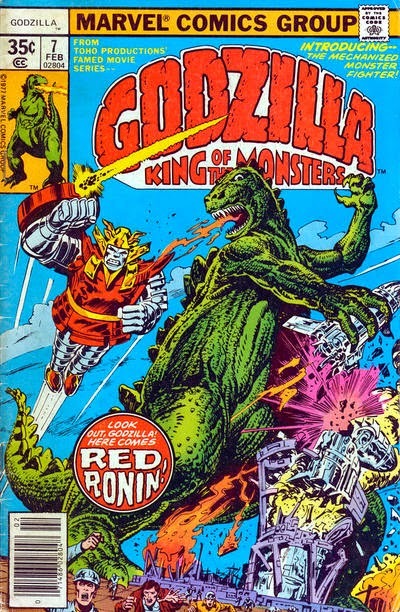 Red Ronin should had joined the Shogun Warriors! Loved the Warriors also! 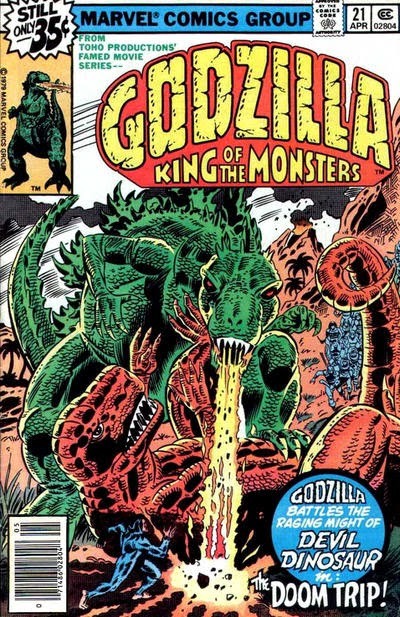 That particular set, "Godzilla's Rampage," featured a combination of artwork lifted mostly from issues 1 & 2 along with original artwork in a very loose re-telling of the original American film Godzilla, King of the Monsters.